You’re driving down the highway and need to make a lane change into the left lane. You glance at your rear view mirror, side view mirror and look to your left. All is clear, so you put your turn single on, begin to make the change, and all of a sudden, you hear a horn blow. You turn again to the left, and realize you almost just sideswiped a car while traveling 75 miles per hour. Your heart stops for a moment – it feels like when you’re leaning back in a chair and you lose your balance, and catch yourself before you fall over backwards. If you’ve been driving for a while, no doubt this has happened to you. 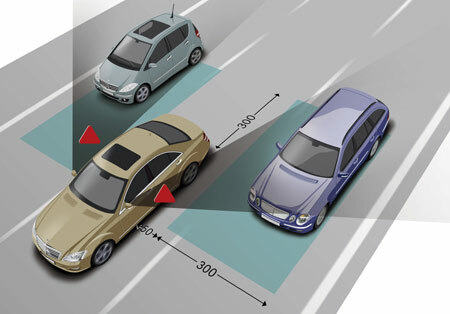 There’s a zone in the road – big enough for a car, even an eighteen wheeler, depending on your car – that your rear and side view mirrors don’t pick up. It’s called a blind spot, and if you’re not careful (use your turn single, turn around, gradual lane changes), they can kill you and others. Leaders can have blind spots too. A leadership blind spot is some kind of behavior that a leader can’t see, but it exists for everyone else to see. See “Johari Window” diagram below. While leadership blind spots may not be as fatal as a driving blind spot, if never discovered and unaddressed, they can turn into career killers, and wreck havoc on those around them. I’ll bet this is starting to sound like “The Matrix”, or “Inception” (an awesome movie, btw). Yes, this blind spot business can be tricky. Discovering your leadership blind spots is the same as bringing your driving blind spots into view – you need to look in multiple mirrors and get input from all sides. 1. 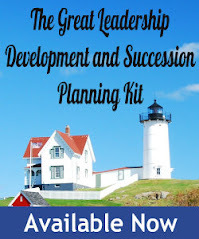 Take a 360 leadership assessment. 360 assessments will give you written feedback on key leadership behaviors from your manager, peers, employees, and others. Try LPI Online for an relatively inexpensive option that requires no certification or debrief, or any CCL assessment. PDI, Lominger, and DDI also all have excellent products. 2. Take some kind of validated, reliable behavioral assessment that helps uncover potential behavioral issues. Try DISC, MBTI Complete, Hogan's HPI/HDS, or The Workplace Big 5. For any of these, it’s better to have someone who is familiar with the assessments to help you make sense of them. 3. Engage a coach. Most coaches will use their own favorite assessments, as well as conduct stakeholder interviews. 4. Ask for feedback – from your manager, employees, peers, etc… just make sure you’re ready to listen non-defensively. Giving feedback, even when asked, if difficult for many people. The way you ask and respond will influence the accuracy of the feedback. Whatever method you use, just be prepared for that “jolt” (that feeling of leaning backwards in the chair…) of awareness. Finding out we are not seen as we see ourselves can be pretty unsettling. Awareness is the first step in fixing blind spots, and often the most difficult. Then comes ownership, learning what to do differently (APBs, or alternative positive behaviors), and finally, lot’s practice to “cement” the new behaviors. 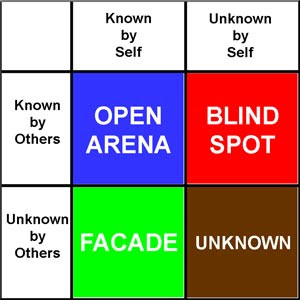 I’ve always liked using the concept of blind spots when working with professionals, and the Johari Window is an oldie but goodie. I agree with you that whenever an assessment is used to be sure work with a practitioner who fully understands the conceptual construct behind the assessment. It’s dismaying to hear how many well-meaning, but poorly implemented “development” programs inappropriately use assessments. For example, I often use Inscape Publishing’s DiSC profile for leadership or team development, but it is not normed for hiring purposes. Even so, I run into people who have told me that they were given the DiSC profile as part of their interviewing process. As I often tell people, “use the right tool for the right job—using a sledge hammer for a job requiring a screwdriver will not yield you the results you desire”. I have personally found that 360 degree feedback, DiSC profiling and the StrengthsFinder assessment helped me learn of my leadership blind spots. When leaders do not have access to these resources, even simply asking "What am I doing right?" and "What am I not doing right?" through a simple SurveyMonkey survey would help a lot in understanding their Blind spots (however, the leader should be ready to take that jolt and move forward). thanks. Yes, lots of mid-use of assessments out there. Assessment tools are really great for getting feedback around identified themes. Real time feedback from employee experiences can also be collated through interventions like 'leader less meetings'. HR Partners can work closely with employees to pick feedback and help the Leaders spot and work on their blind spots. Having actual event based feedback to back development inputs helps immensely in acceptance of feedback. Great intro to the Johari Window and the importance of Blind Spot awareness. The 360 is great for this, as is coaching in a group setting. I'm coaching four CEOs in a group, and they've gotten very humble very quickly -- the enemy of Blind Spot Awareness is "denial" and it's hard to hide in Denial when you have a coach or two, and your three CEO peers, all nodding and saying "yes, that's your pattern." Gathering objective feedback is a good idea. A more common approach I see in business today is the football approach, where you have a rlieutenant who is supposed to cover you blind side. Then you potentially have the same problem with the lieutenant, however. Sounds like an good benefit of group coaching. Thanks. I like the blind side reference. Someone who you ask to tell you when you have no clothes.